Easily accessible! Complete re-development of 75,000 RSF strip center in the heart of Lefrak City/Corona, a MAJOR residential neighborhood. Customer parking available. Neighbors include CHASE, Northwell Health and Great Wall Supermarket. Food & Beverage businesses welcome!!! 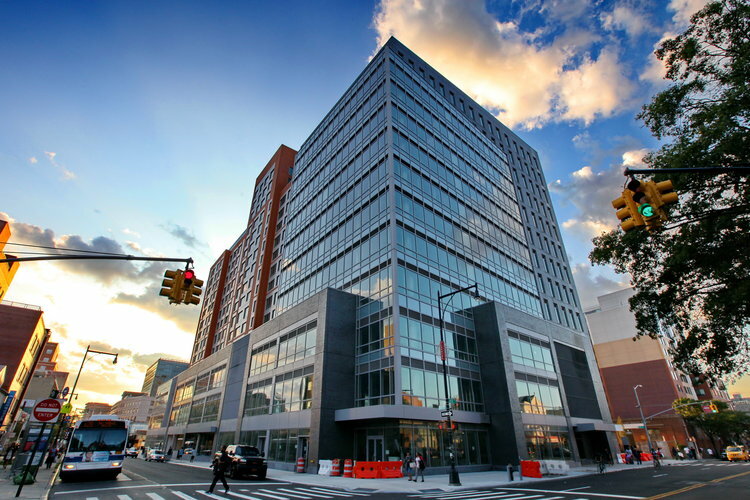 Brand New Corner Office Space At The New Flushing Commons Office Tower In Downtown Flushing For Lease. Perfect For Any Kind Of Medical Or Professional Office. Best Location, Close To Everything, 3 Blocks From 7 Train. 4 High Speed Elevators, 24 Hour Doorman, Bathrooms On Each Floor, Energy Efficient Features. Seeking Health-Related Licensed Medical/Beautician/Rehab Business. Ideal For Dental Professional, Plumbing Rough Compete For (3) Chairs. Small Alterations Ok. Share Of Waiting Room And Concierge Desk. Tile Floors, Separate Ac, All New. Brand New Lighting And Natural Light With Windows. Electric & Water Included. 2 Spots Parking Available For Rental. Centrally located retail space in the heart of Downtown Flushing. Heavy foot traffic site. Ventilation ductwork in place for cooking! Neighbors include Hyatt Place Hotel, Spot Dessert Bar, Tous les Jours Bakery, Mister Hotpot, Leaf Rooftop Bar and Pappa Rich. Brand-new high-end modern food court! Come join the other tenants which include Ajisen Ramen, Kung Fu Tea, Wonjo Tofu House, Curry Bo, Young Street Poke, and Happy Lemon!